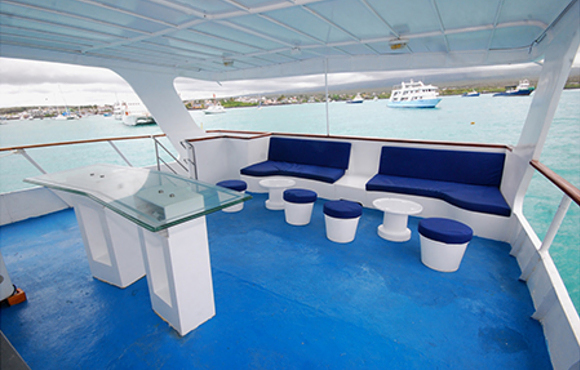 Galapagos offer the most spectacular diving in the word! The Galapagos Islands are one of those rare places where you can dive through hundreds of hammerhead sharks to find a whale shark cruising along. 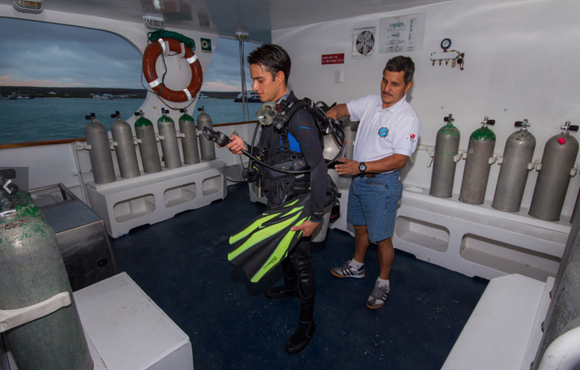 Add some silky sharks, sea turtles, giant morays and schooling fish and that’s just the dive at Darwin! 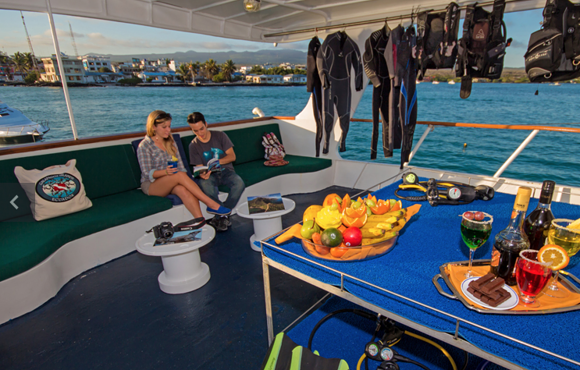 At Wolf Island you can expect huge Galapagos sharks and eagle rays up close whilst dives at Cabo Marshall will put you face to face with giant manta rays and inside a school of millions of black-striped salemas. Mola mola (sunfish) may be seen in the depths too. 17 - 20 guided dives depending on conditions. 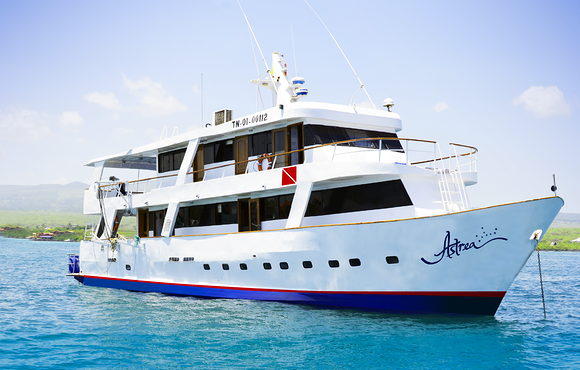 Each cruise starts with a welcome cocktail and lunch and ends with breakfast. 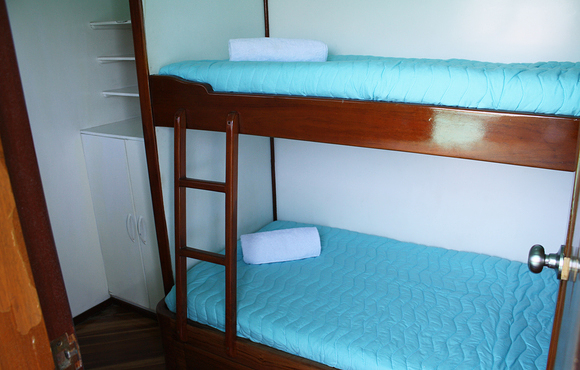 The Astrea is equipped with 8 double cabins with bunk beds; 4 cabins in the upper deck 1 cabin on the main deck and the 3 cabins in the lower deck. 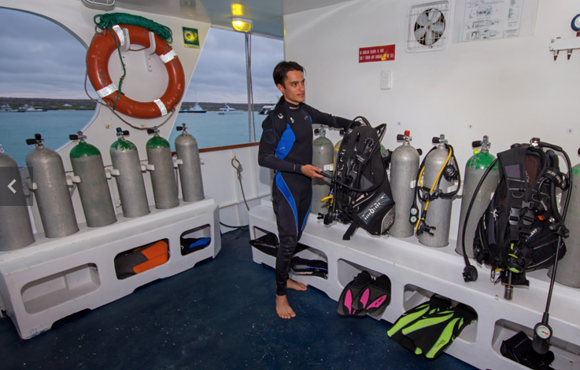 The diving platform offers space for all guests dive equipment, camera table, cleaning tanks with fresh water, space for drying suits. 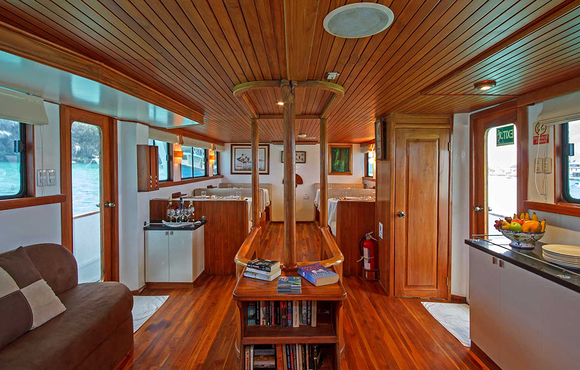 In the inside we have a lounge with air condition, TV, stereo, library, movies, table games, as well as our dinner room with air condition, a resting room with a bar and on the upper deck in the front a sun deck. Price is per person and based on double occupancy in 2016. 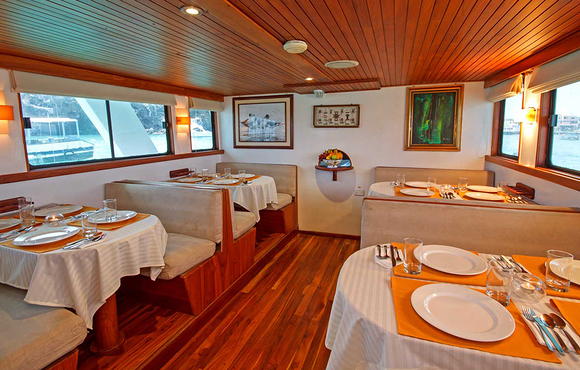 Astrea is a motoryacht with 25m(75ft) length, which is built for diving in the Galapagos archipelago. We have all according permits and will operate throughout the year.